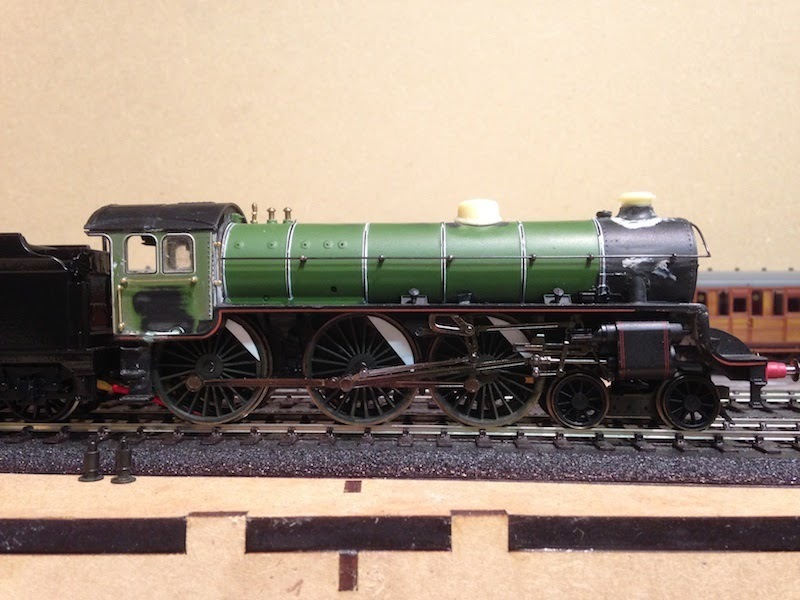 THE BRITISH RAILWAY STORIES LTD: "Thompson B3/3, slight change to the chimney…"
I've done quite a lot of railway modelling these past few weeks, preferring to concentrate on my locomotive projects for the time being. Although I've only showcased the B3/3 and streamlined P2 projects in particular, I've also been working on a Thompson A2/3, four Thompson B1s (in apple green), all five of my Gresley A3s, and been doing some more painting of A4 body shells. Watch this space for updates on all of those…I sense that the express portion of my stockist is almost complete on a number of levels. No more big engines after the end of this year I suspect! More tank engines of the J50 and N1 variety will be on the cards, as well as consolidating the existing N2s, L1s and similar I already have. Moving back to the B3/3, which had a minor update. The GCR chimney, on reflection and from feedback I received on the LNER forum, I replaced the top half with a GNR style cap to improve the overall look further. The effect on the locomotive is notable and it is an improvement both on the original B1 type chimney and the GCR one I fitted thereafter. 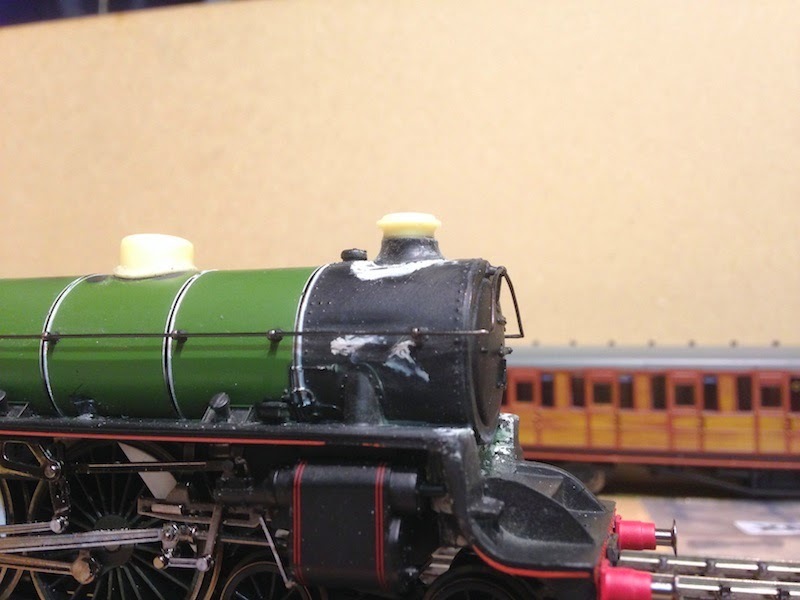 I simply cut down one of Graeme King's excellent resin O1 chimneys, cut off the top from the GCR one, filed it and glued it down. The result is rather better I hope! 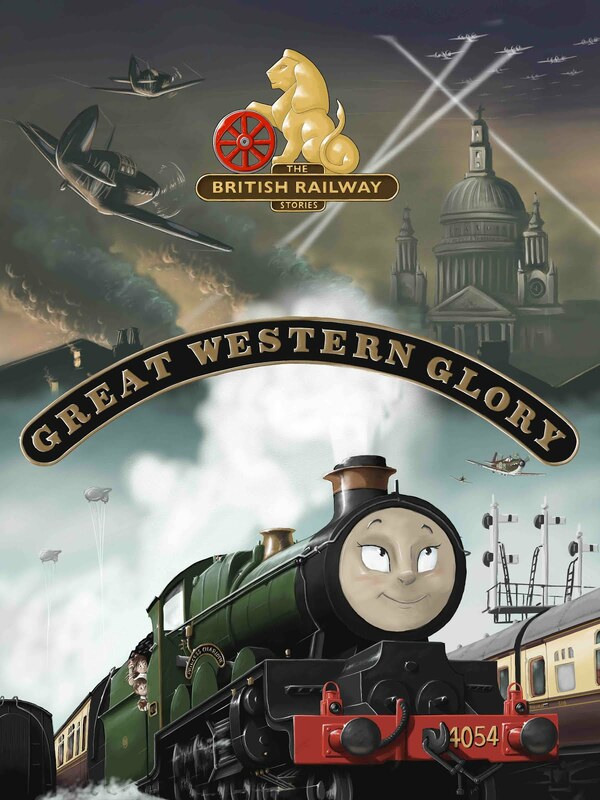 Are you still updating your "LNER Locomotives" thread over on rmweb? I'm afraid not Adam. The powers that be on RMweb saw fit to moderate me to a level which means I can no longer post, even if I felt so inclined. Unfortunately the partisan nature of the RMweb moderation team has not deigned to as yet give me answers to specific queries regarding why I was so moderated. Given the level of posting and the quality they get elsewhere on the forum, you would think they would be more willing to invite constructive discussion and development from actual modellers, but not as it stands it looks like. It is a shame as, though not a founder member, I was there not long after it began and supported the forum monetarily when it required it. That does not preclude poor behaviour but I do not believe I have exhibited anything of the kind. 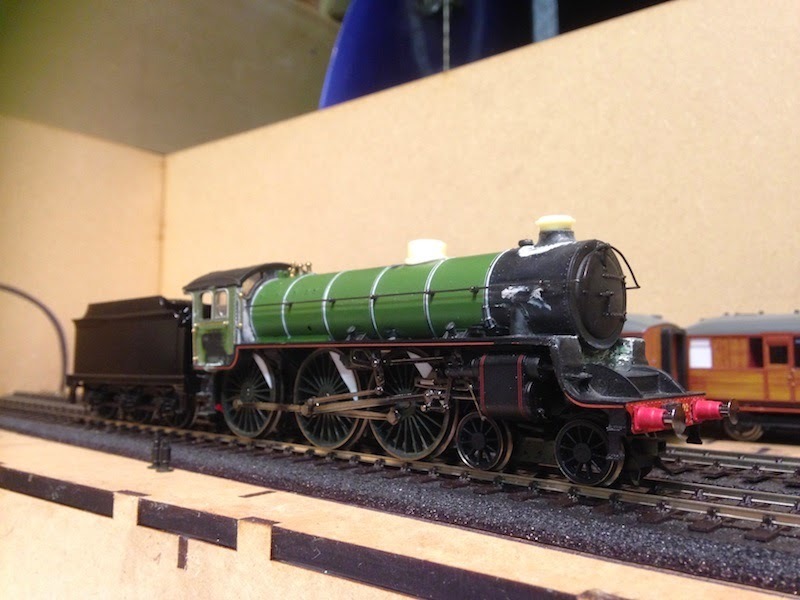 So to follow my work you can find me on the LNER forum, Modellers United and here on my blog. I agree that it's such a shame rmweb has taken such a turn for the worse. I got back into railway modelling about 1 1/2 years ago, and around then rmweb seemed nowhere near as argumentative as it does now, so when I decided to make my own account not too long ago, I elected not to use my real name (you may know me as "Ade the Pianist 4468" on rmweb) to allow me to escape to the shadows if I felt reason to leave. Rmweb's deterioration all seemed to happen at two times, around Hornby's 2014 announcements, and since the arrival of the Heljan LMS Beyer Garratts. Of course, I have no idea what it used to like pre-summer 2013.